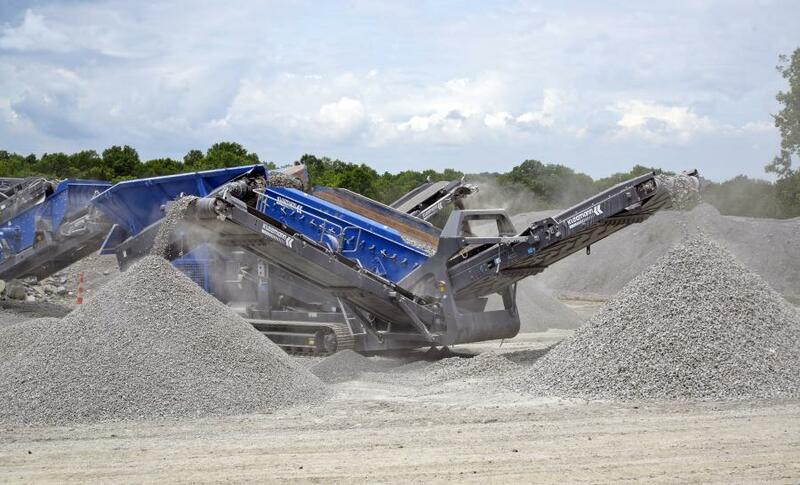 The Mobirex MR 110 Zi S EVO2 mobile impact crusher has a conveyor-mounted screen. 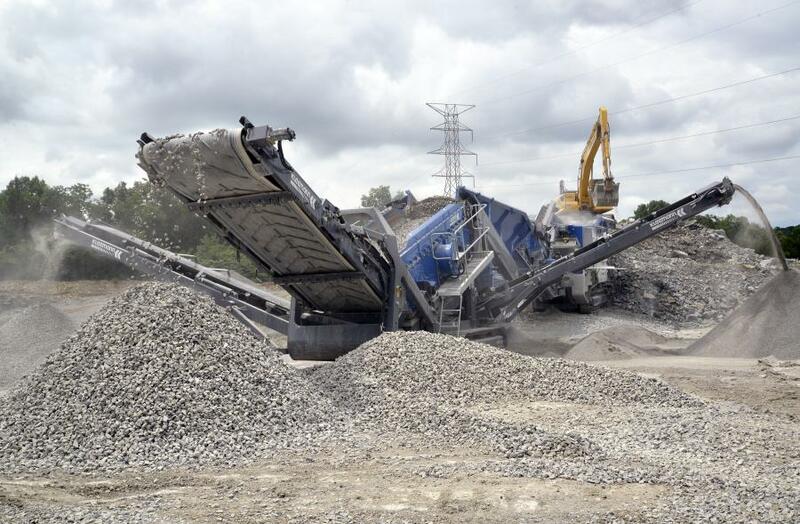 A startup general-site work contractor has added a mobile impact crusher and mobile screen to its fleet to leverage expansion in the booming middle Tennessee region and to “fill” the need for fill on job sites on rough terrain. 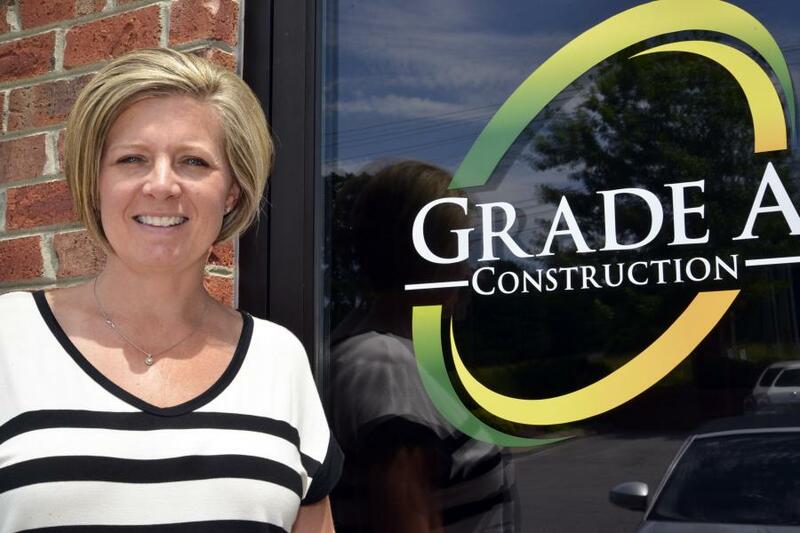 Launched in 2013, Grade A Construction of Mount Juliet, Tenn., serves a variety of market sectors, including commercial, industrial, residential, heavy construction, highway, landfill construction, hazardous waste removal and soil remediation. Grade A began by doing only site clearing and grading, but it has expanded to utilities, drilling and blasting, site concrete, on-site crushing, directional boring, retaining walls, asphalt paving and slipform concrete paving. In 2017 the company had about 140 employees year-round. Rugged middle Tennessee borders the Cumberland Plateau and, further east, the Appalachian Mountains, and is hilly with steep ravines and creek valleys. As a result, most level areas were developed long ago, and now much construction requires removal of hillsides, bluffs and expansion of the few flat areas into hills. That kind of drilling and blasting as an adjunct of site development has become Grade A's forté. 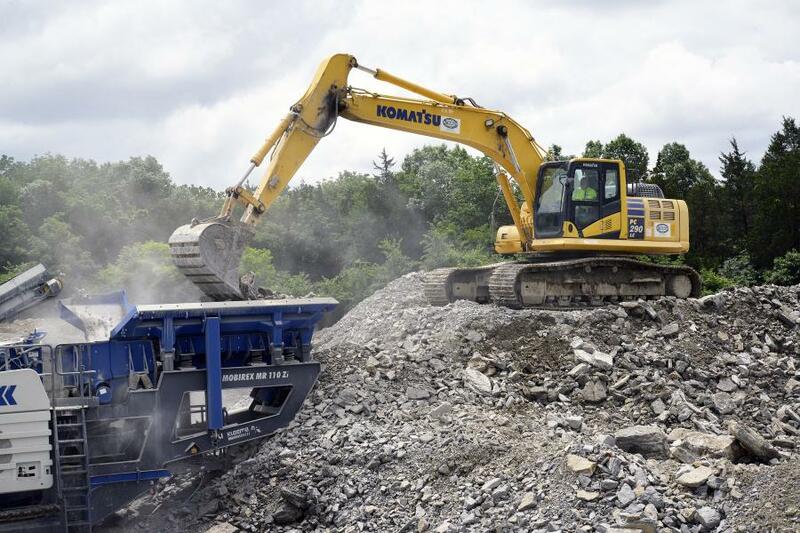 Grade A's acquisition of the Kleemann Mobirex MR 110 Zi S EVO2 mobile impact crusher with conveyor-mounted screen — and Mobiscreen MS 15 mobile screen — came hand in hand with drilling and blasting. Processing the shot material at the construction site using mobile equipment is an environmentally sound application, as it eliminates the long train of truck traffic hauling material out and in, thus cutting down on traffic tie-ups, exhaust emissions and fuel consumption. Yet it results in virgin material being available on site for fill. Prior to the aggregate processing equipment, after removal of the unwanted material, Grade A would have to buy processed aggregate to fill behind retaining walls. 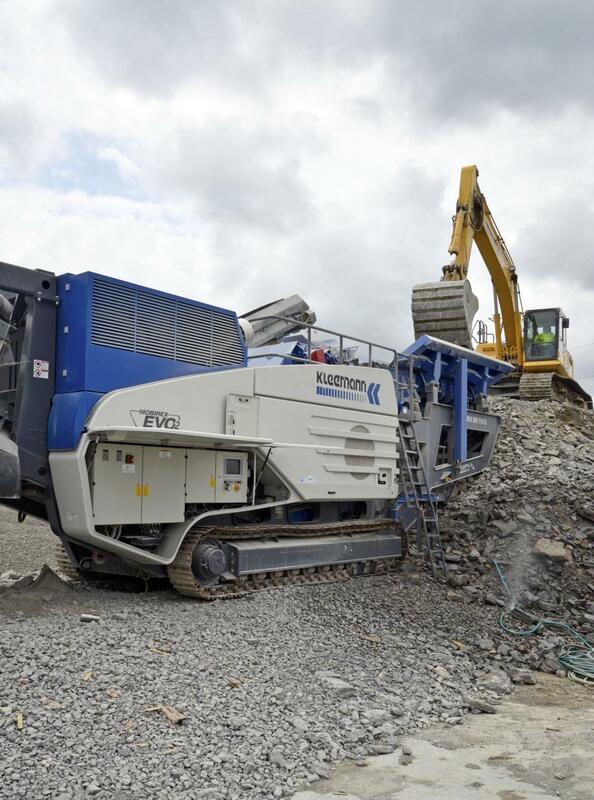 When there is a need for a high volume of fill material, the Kleemann impactor steps up to the plate. Bramco is the crushing equipment distributor for Grade A Construction. Reigard has found it helpful to send employees to Kleemann training at the Center for Training and Technology (CTT), located on the grounds of Wirtgen America's North American Campus in Antioch, Tenn.
“We've had training for employees multiple times, and our staff comes back knowing exactly what to do, what not to do, and how to keep up the maintenance for ourselves,” she said. Grade A's purchase of the Mobirex impactor and Mobiscreen screen followed an intensive investigation of what would work right for it. “We tested certain manufacturers and ran the equipment side by side,” Reigard said. “Kleemann far surpassed the other companies as far as production, efficiency, and durability. 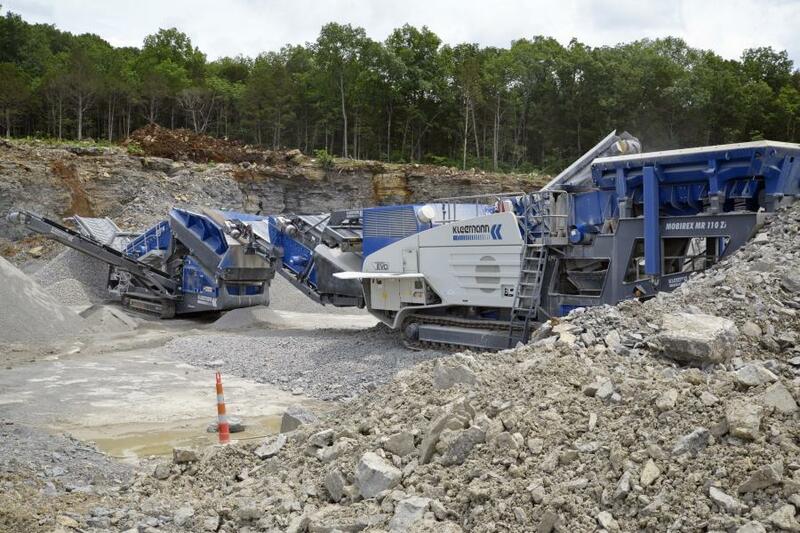 Initially, Grade A rented the Kleemann crusher and screen, but rapidly converted them to a purchase. 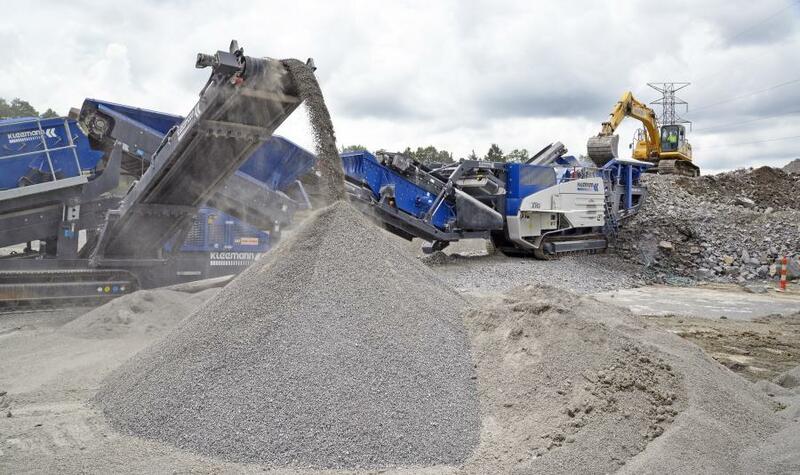 Grade A chose the impactor for its flexibility: in addition to processing shot rock, it could handle demolition concrete and reclaimed asphalt pavement more efficiently than a jaw crusher. The result is value-added aggregate sizes. And if Grade A needs as few as three products, it can decouple the Mobiscreen from the circuit and use the conveyor-mounted screen to produce sizes, feeding the 2-in. oversize back into the crusher until the desired gradation comes out the other end. “We will refeed the tar out of it!” Alan said. 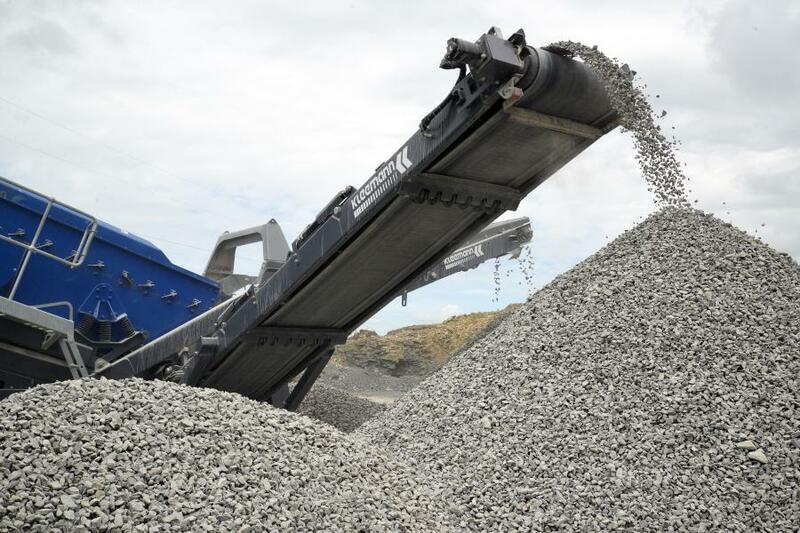 The MS 15 Mobiscreen was acquired to increase the amount of aggregate processed beyond that of the Mobirex MR 110 Zi S EVO2's conveyor-mount screen. Grade A's MR 110 Zi S came with an independent prescreen, which enhances throughput while reducing equipment wear. When visited, Grade A was producing 1 1/2-in. stone, 3/4-in. stone and 3/8-in. minus. The independent prescreen in the Mobirex MR 110 Zi S was removing all dirt from the feed ahead of the impact crusher. The crusher was feeding all crushed material to the conveyor-mounted “hanging” screen with single 2-in. deck. Below, plus 2-in. oversize was circulating back to the impact crusher via enclosed external belt, while minus 2-in. material was forwarded to the MS 15 Mobiscreen. The triple-deck M 15 sorted 1 1/2-in., 3/4-in. and 3/8-in. minus material into separate stockpiles. All aggregate would be used on the job site. Kleemann's efficient dust control system also was a plus. Also protecting against dust intrusion is the cushion-mounted control panel, which has an air-overpressure system within to keep dust out. And the automated zero-point gap setting technology on the impactor saves time at startup and later in the day, when readjustment of the gap may become necessary, Lannom said.